A pitch event run by the Lagos Angel Network (LAN). 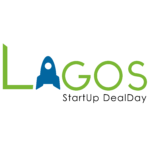 Lagos StartUp DealDays will run quarterly, and the first event will take place on the evening of Thursday, March 31st. Lagos StartUp DealDay will bring LAN members, other angel investors and Lagos startup ecosystem players together at an event where the very best startup ventures (across sectors) are guaranteed funding. Each participating investment syndicate will deploy a minimum of N5 million on the day. Using Lagos StartUp DealDays as a springboard, LAN expects to raise N100 million from its members and the early stage investment community at large for Lagos startups during 2016. Partners for the event include VC4Africa, TechCabal, the Africa Business Angel Network (ABAN), Lagos based hubs, incubators and accelerators. Branding and promotional material by Akanka. Applications closed on Tuesday, March 15th. Interested startups were invited to apply using an online form. They were asked to make sure they had a venture profile published on the VC4Africa platform with their most recent pitch deck attached. Video pitches were encouraged but not required (no more than 60-90 seconds long). Shortlisted startups will be announced/contacted on March 21st, and entrepreneurs will be invited to make formal pitches at the Lagos StartUp DealDay on March 31st. Pitches will be delivered to a small, closed panel of investors. Interested investors will be required to set up a Pro Account with VC4Africa. Initial pitch decks, video pitches and other startup information will be available via the VC4Africa platform in the run up to the event. The Lagos Angel Network is the premier angel network in Nigeria and one of the most active in Africa. Founded in 2014, LAN with foremost Nigerian investor, Dotun Sulaiman as Chairman and Tomi Davies, Collins Onuegbu, Tokunboh Ishmael, Dipo Adebo, Segun Olukoya and David Richards as board members, is helping to create a network of business angels that put startup funding and mentoring into early-stage ventures in Lagos, Nigeria. Since its creation, LAN members have invested in over a dozen Lagos startups. Does anyone know where the venue got the LAGOS DEALDAY is? I will like to know if a power point pitch slide can be uploaded if one doesn’t have a video pitch. And if so, where can hat be uploaded asides the document section on the venture profile. Our Syndicate will shortlist startups based on their response to the questions posed in http://www.slideshare.net/TomiDee/pitching-to-investors-using-poem using any combination of video, audio, PowerPoint, Word, Excel and PDF documentation they choose to convincingly express their answers before the 15th March 2016 deadline. ALL ANSWERS MUST BE ATTACHED TO YOUR PROFILE ON THE VC4A SITE OR IT WILL NOT BE REVIEWED! We look forward to reviewing your submissions on the site. Is this program open to only startups ? It’s open to companies that meet the selection criteria. Dear Admin, the application link is not opening. Please, is there any other alternative on how to apply? You can apply via https://vc4a.com/lagos-angel-network/lan-deal-day-2016-1/apply/ . First select if you wish with a new or existing venure first before proceeding. If this is somehow not working for you, please let me know!